I wonder what kind of air we Generals take into our lungs because General Santos City, Philippines seems to be teeming with fantastic personalities! And speaking of air, here's another son of Gensan who is so in love with aerospace, he is making a playground out of it! 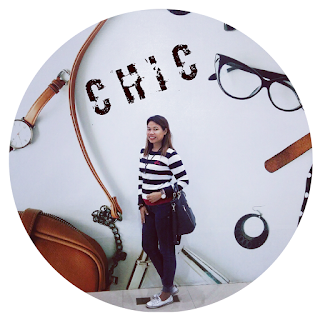 Meet Edyl Kylie Estipona Banaag. 14 years old. Youngest paraglider pilot in the country in his time. Yap! You heard me right. This boy jumps into thin air and glides over breathtaking views thousands of meters above sea level ( or even higher, if mother nature allows!) as if taking off from an anthill. Piece of cake! During the 1st Lake Sebu Paragliding Adventure that was organized by the Local Government, the Soxbloggers were able to witness Kyle prepare his canopy, launch from the paragliding site , marry the cold wind and wheel away gliding over the magnificent view of the lake. According to his mom Me-Ann, who happens to be a friend of mine, Kyle developed this fascination in paragliding when he was 12. Since he was too skinny back then, and there was no wing that would be appropriate for his weight, Kyle took some kiting lessons instead. Hence, when he was heavy enough, controlling his wing came as easy as 1-2-3! 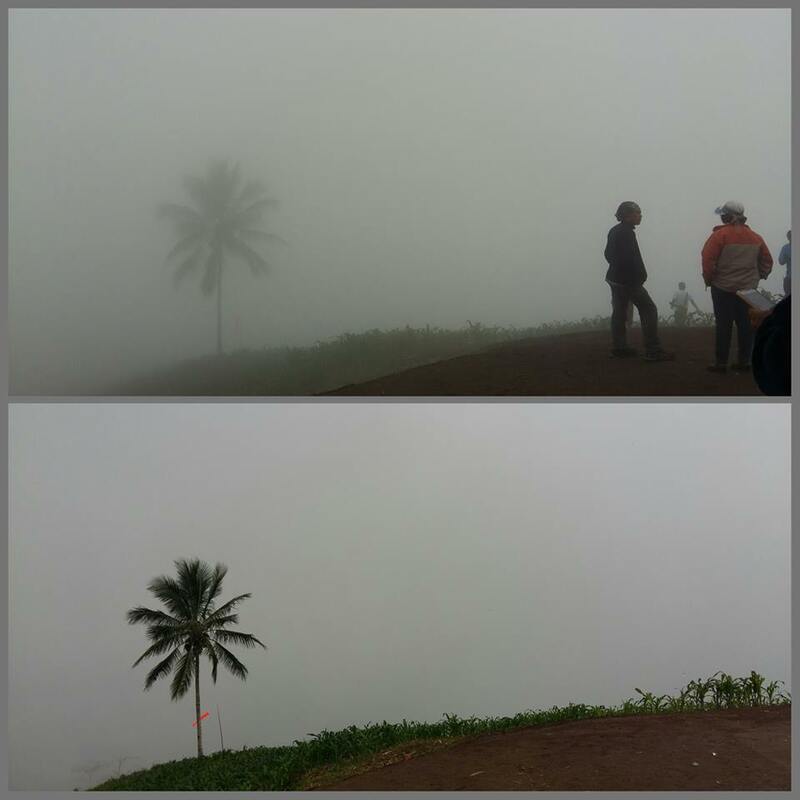 At the Lake Sebu Paragliding Adventure, Kyle plunged into the air at least four times not minding the thick fog that was occasionally hiding the picturesque view of the lake from our sight. Notice the coconut tree from each frame. Its the same location . 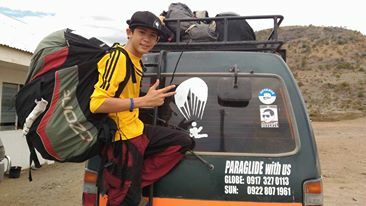 Kyle, the youngest in the brood of four, trained under his father Edil, Head for Operations of AKFIG Paragliding Adventure, enthusiasts of the recreational and competitive adventure sports of paragliding in the SOCSKSARGEN Region. Having Kyle in the team not only brought pride to his father, who is a paraglider pilot himself, but it actually helped the team encourage kids of Kyle's age to train and engage themselves in this kind of activity. Currently , Akfig is training a few boys from Sarangani Province who used to help the team prepare the paragliding site for activities like fun flying. 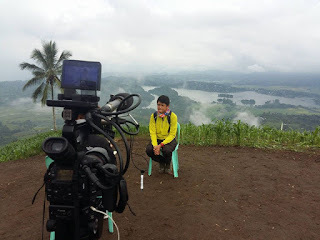 An 8th grader from the General Santos City National Secondary School of Arts and Trade, Kyle will be featured in Kapuso Mo, Jessica Soho come November 20, 2016 so don't forget to tune in. We see another Gensan Sensation in the making here! Wanna experience the thrill of paragliding? Contact Akfig Paragliding Adventure. They offer Basic Paragliding Course and Tandem Flying . Tandem flying rates start at Php 3,500 which includes round trip transportation from pick-up point and fly site, certificate and action camera footage of the flight. You may also give Edil Banaag a beep at 0917.712.1868. It's MUNATO FESTIVAL Once More!